Fighting is all about applying explosive strength and power to your opponent’s chin, but how do you maximise that power? Here are six exercises you can incorporate into your strength and conditioning program to help maximise your explosive power. 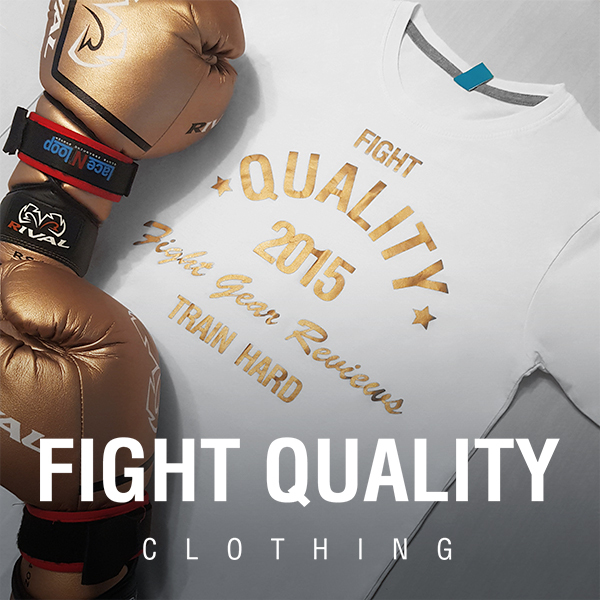 The following article was submitted to Fight Quality by Darren Mitchell from bestmuaythaiboxing.com. Attending a Muay Thai camp is a great way to sharpen your Thai boxing skills, and is also an exciting and challenging all-round experience. Over days (or even weeks) you will be pushed to you physical and mental limits as you train every aspect of Muay Thai alongside seasoned Thai fighters and coaches. The following article was submitted to Fight Quality by Greg Morrison, owner of Wheelhouse Nutrition. Mixed martial arts, or MMA, has gained a lot of popularity in recent years. It is a sport that is intense in training because of the many combat disciplines that comprise mixed martial arts. Sparring is the time when you put all of your training, skills and technique into practise against another moving person. It’s not a fight, but rather a controlled chance to fill in the gaps which can’t be taught with pads or a heavy bag – reading your opponent and controlling the situation. The importance of headgear in boxing has been a bit of a debate over the last few years, with the Amateur International Boxing Association (AIBA) and the Olympics both seeming to favour the removal of headgear. But why? Surely protection is there for a reason, right? Tendonitis is the common name for a range of different injuries that can be caused to the tendons of the bodies various muscles – the strong cords of tissue that connect the muscle and the skeleton, and are needed to move the bones and joints when the muscles contract and relax. Whether you train in boxing, MMA or any other martial art, it’s an ongoing process of improvement, learning new skills and improving your instincts and fitness. Whether you train as a hobby every now and then or it’s your full time career, there are a number of steps you can take to make sure you’re getting the most out of your training. Shadow boxing is probably one of the easiest forms of training. You don’t need gloves or other gear, you don’t need a partner to hold pads, you don’t need a bag and you don’t even need to be at a gym. Shadow boxing is one of the few forms of training you could practise almost anywhere at any time. You don’t have to just focus on boxing either, it’s easy to throw in kicks, elbows and knees if you’re more of a kickboxer, or even practice stepping in for takedowns or add in a few sprawls if you’re training in MMA. While it may initially feel a bit silly attacking air, shadow boxing actually has a whole load of benefits which can drastically improve the rest of your training.